my name is Ulfet Tanriverdiyev. 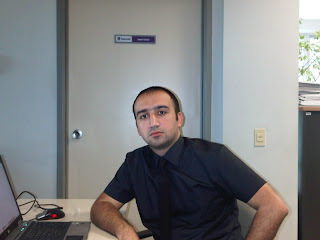 I live and work in Baku, Azerbaijan and I am Oracle Certified Professional. I started to work with Oracle products especially Oracle databases from 2005 years. After reading/using my friends (Mohamed Azar, Aychin Gasimov and Teymur Hajiyev etc blog post), I decided to create my own blog post and share my experience knowledge. 09.02.2012 : (Istanbul, Turkey), Tom Kayte seminar "TROUG day of Real World Performance"
1999-2004 : Qafqaz University, Bachelor degree, Department of Computer Engineering. 2004-2006 : Qafqaz University, Master Degree, Department of Computer Engineering.